It’s been a wild year for VG247, so to celebrate we’re going to be republishing some of our favourite work published in 2018 – opinion pieces, features, and interviews, that we’ve enjoyed writing and reading, and which we believe showcase some of our best work. Enjoy! 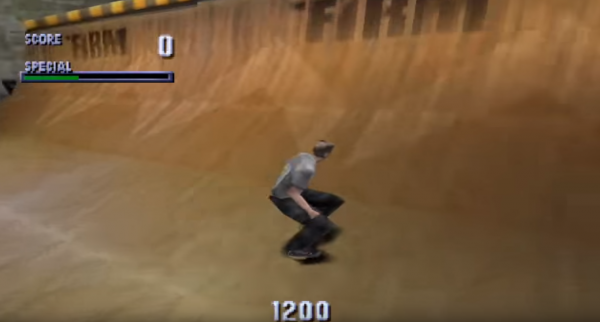 Tony Hawk and Neversoft tell the story of making Tony Hawk’s Pro Skater first appeared on the site on April 26, 2018. In front of 275,000 people, June 27, 1999, at the San Francisco X Games, Tony Hawk tried eleven times to successfully land a 900 degree spin. On his twelfth attempt, he kept the skateboard under his feet and made history. 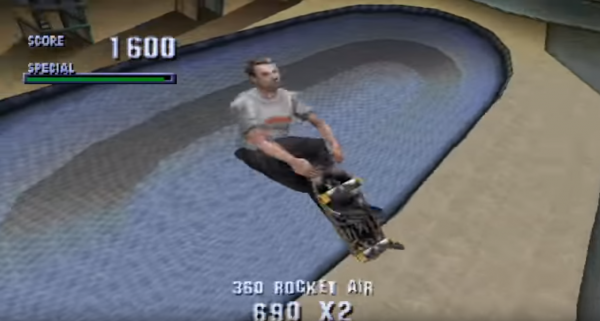 A few months later, Activision released the video game, Tony Hawk’s Pro Skater, and the world grabbed hold of this previously fringe sport eagerly. Hawk and the PC developer parted ways after the developer became discouraged by executives who believed skating didn’t fit video games. Take Two reached out to Hawk and they bandied around some ideas, but it didn’t click. To Hawk, Activision must have seemed like a last ditch attempt. “I went to Santa Monica and they showed me their very early version of what would become Tony Hawk’s Pro Skater,” Hawk recalls. “I thought it had the most intuitive controls and a lot of free roaming capabilities.” The deal was signed and the tiny team at Neversoft took the reins in the hopes they could turn this niche sport into a blockbuster franchise. This motto sums up the development process. Both D’Amato and West say development was like “shooting from the hip” and the production was “chaotic”, which are both phrases that could be used for describing the sport itself. Reflecting on the early days, D’Amato mentions a nearby arcade the team visited so they could play Top Skater. 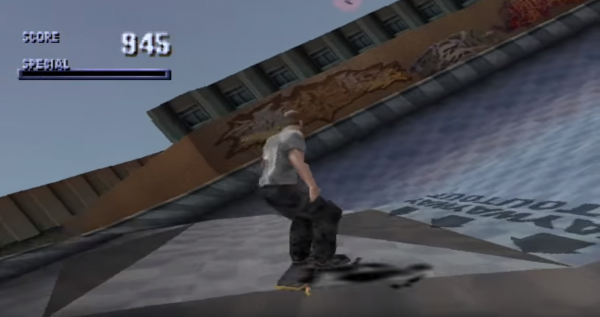 Doing so made them realise that they didn’t want to make a racing game – Tony Hawk’s Pro Skater needed to revolve around tricks in an “open-world style”. The team at Neversoft threw themselves into the sport both voluntarily and with encouragement from Joel Jewett, who had built a vert ramp in his own backyard. “About a year or so after it was built, Joel moved so a few of us went over to his house, disassembled the ramp, and moved it to my house instead,” D’Amato recalls. “We used the ramp for employee skate nights.” When this is brought up, Hawk laughs: “Joel Jewett is eccentric, to say the least, and he basically demanded that everyone on the team try to learn how to skate. He would take weekly trips to the skate parks and just go out and do it. He had a kickflip competition at one point… in the office.” Neversoft developed a passion and a real, practical knowledge of skateboarding, which allowed them to transfer the feel of doing it in real life into the game. D’Amato is visibly excited about working with Hawk and other skaters. “Part of my production duties were to schedule the skaters in for their character design and special tricks review,” he says. “It was fun because the skaters all had different personalities and were as excited as us.” His passion stayed with him, and he’s still a huge fan of skateboarding today. It wasn’t all fun, though. “The most pressure would come from crazy deadlines,” D’Amato says. “It was like being on a sports team. Everyone was 100% dedicated to the project. Staff didn’t take vacations until the game was finished and our lives revolved around it.” While D’Amato is obviously proud of what his team created, it’s clear that it was a stressful environment. However, he describes his time working on the series with a huge fondness. “The biggest highlight was working with the small team of people on the first few titles,” D’Amato continues. “I’m still friends with a lot of them, they will be lifelong friendships, and that’s invaluable”. Of course, it was a video game, and it needed to be controlled like one for players to be able to access the vast number of tricks and potential combinations. “Once we nailed down the basics – ollie, grind, flip, and grab – everything else came naturally,” D’Amato explains. “The control scheme was changed up a fair bit at the beginning though.” At one point, the system meant hitting buttons in a combo while mimicking movement on the D-Pad, similar to a fighting game. In the end, the team decided on using a more simple method of holding directions and button combinations to perform tricks. Mick West knew the pressure well. “It meant everything to Neversoft for financial stability,” he recalls. The game became a huge success, selling over 350,000 units between the November 1999 release to Christmas that year, in America alone; lifetime sales were 300,000 for the UK. So many childhoods were shaped around video games and the Pro Skater series is fondly remembered by most players of a certain generation. The games set up many careers and left an impact on West, Hawk, and D’Amato – the latter went on to leave Neversoft and work directly with Hawk as his director of media. He is currently working on a documentary about the creation of the Pro Skater series.